The neighborhood is getting so crowded these days! As the only human on a planet full of new creatures, you have to try hard to fit in. Everyone may have their differences, but we can make friends if we work together! 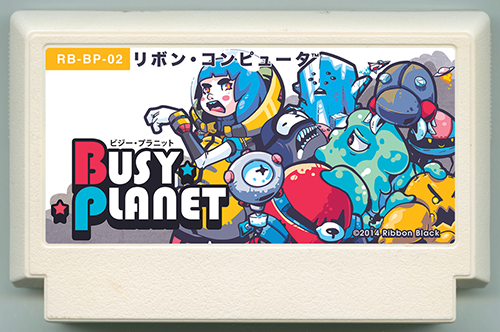 Here's my entry to this year's Famicase Exhibition! Famicase is an annual art show held in Tokyo at METEOR, retro gaming shop and gallery. 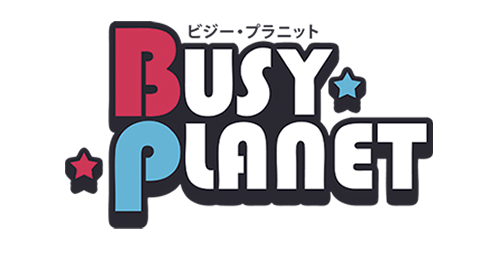 The objective of the show is to design a label for a fake Famicom game--obviously I had to participate. This is my second year in a row; here's my entry from last year, Labyrinth of Cemetery. The online gallery of entries from this year isn't up yet, but it should be soon. I'll make another post with my favorites then. If you're in Tokyo between now and May 31, check out the show and send me photos!